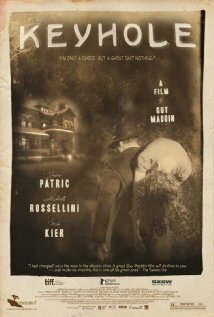 Keyhole is a Canadian film directed by Guy Maddin, starring Jason Patric, Isabella Rossellini, Udo Kier and Kevin McDonald. It tells the story of a gangster who returns to his home and embarks on an odyssey through the house, one room at a time. Filming began in Winnipeg on July 6, 2010. . .